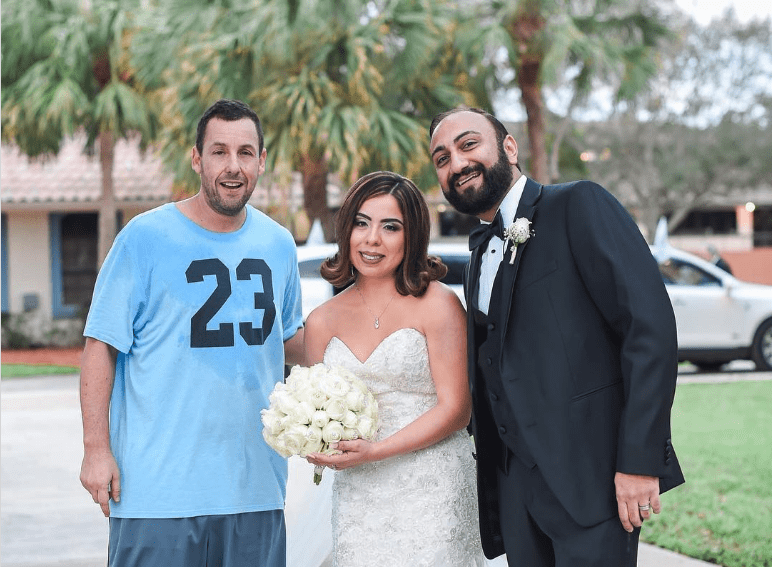 Adam Sandler Just Crashed A Wedding - Again! 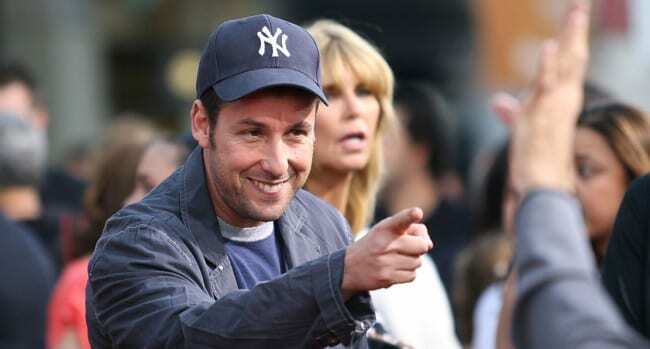 Adam Sandler Just Crashed A Wedding – Again! Adam Sandler is well-known for many of his comedic and zany roles in movies. However, the actor has also seemed to earn himself a reputation for crashing people’s weddings! In his most recent example of legitimate wedding-crashing, the famous actor could be seen posing for a couple who was having their wedding photos taken at the Pavillion Grille in Boca Raton, Florida. While the couple was having their photos taken, they noticed some commotion in the distance. It was a basketball game and the one and only original Wedding Singer was getting sweaty on the court. The couple nervously approached the fence and asked Sandler whether he’d be willing to snap a few pictures with them. He agreed and soon after jogging off the court he appeared next to the couple, sweat-soaked and looking like he had just run a marathon. He smiled and posed for the couple who were overjoyed and elated by the random celebrity appearance! What an amazing way to make an already memorable day completely unforgettable! While Sandler was casually dressed in a shirt and shorts, the bride was wearing a beautiful strapless mermaid dress with a beautifully embellished bodice and gently ruffled skirt while the groom wore a classic black tuxedo and bow-tie. 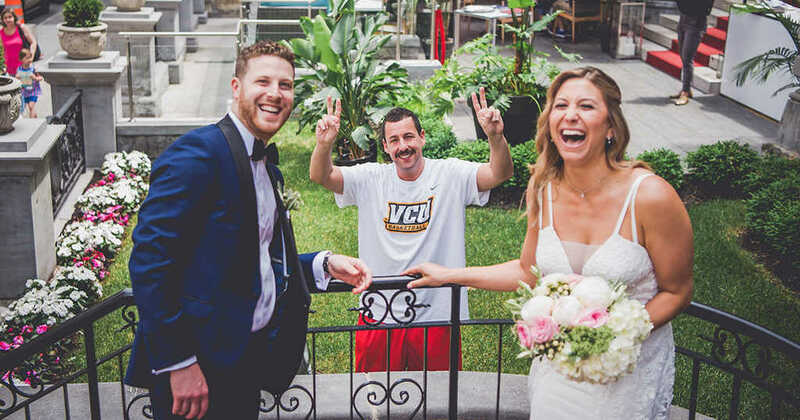 While this was indeed a highly memorable moment, it’s not the first time that Sandler has crashed wedding photos. In early summer of this year, he crashed newlyweds Alex Steinberg and Kevin Goldstein’s wedding photos when he accidentally noticed the couple taking their pictures. After noticing the couple, Sandler casually walked up to them and asked whether it was okay for him to be in their photos. The couple, who are both huge fans of Sandler’s, agreed and they took a number of photos with the star. Who knows, maybe this will become a feature of Adam Sandler’s career in the future?